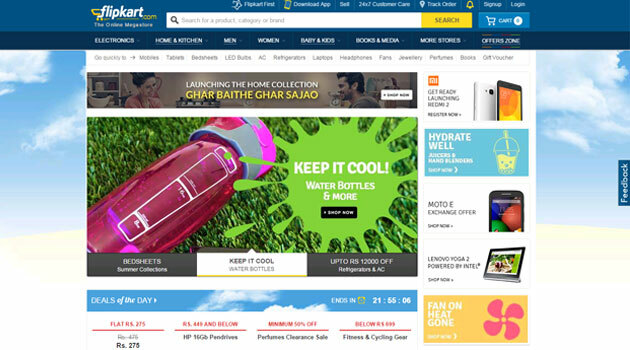 The country's top e-commerce venture Flipkart has opted out of talks to become part of Airtel Zero, pitched as a mobile marketing platform by telecom firm Bharti Airtel but which ended up stirring up a hornet's nest over its wider implications of possibly violating principals of net neutrality. We will be working towards ensuring that the spirit of net neutrality is upheld and applied equally to all companies in India irrespective of the size or the service being offered and there is absolutely no discrimination whatsoever." Airtel Zero sought to make data free access to certain apps to mobile users. The developers or owners of these apps were to partner with the telecom firm and though the terms of such partnership were not disclosed, it was believed to include a fee, which in effect subsidised the consumer. This, industry stakeholders argued, would create a 'walled garden' and push users to access only such sites as they would not incur data charges. Such a move would have been disadvantageous for those, including startups, which could not pay up for the partnership with the telco. Flipkart's decision comes in the wake of a widespread backlash on social as well as mainstream media where people were seen slamming Flipkart for its hypocrisy on 'net neutrality' and even voted down ratings on its free to use apps. Earlier, Sachin Bansal, CEO of Flipkart, had defended the Airtel initiative while questioning the double standards in no such debate when Facebook tied with Reliance Communications to launch a similar initiative under Internet.org. "When foreign companies do it in India - Innovation. Indians do it - Violation. #NetNeutralityDiscrimination? "he had tweeted. Later he joined the debate saying such a programme which provides free data access to some apps for a limited time doesn't go against net neutrality and since costs and competition are high, it cannot be a sustainable plank for long. He had added that the proposed initiative by Airtel only reduced data costs for users: "Fears of a telecom big brother emerging are unfounded. Choice wins. Always."